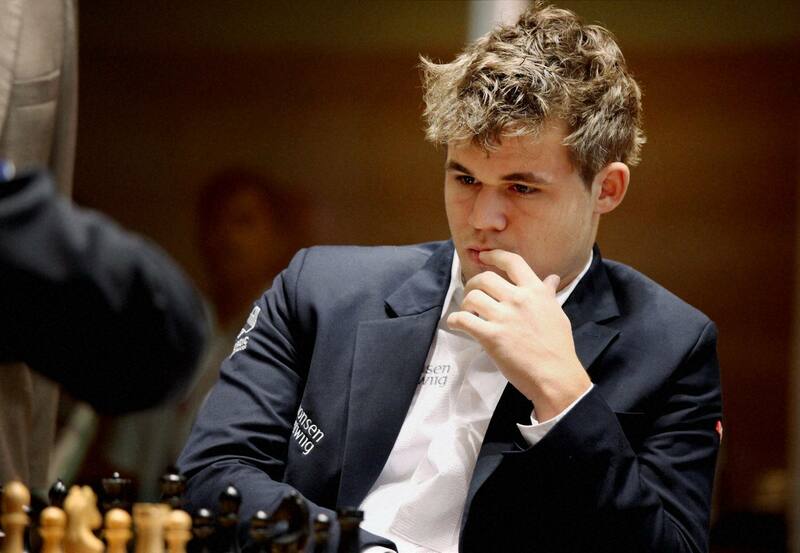 Magnus Carlsen is the current world chess champion. He’s the best in the world at something. Not that many people can make that claim, can they? Consider the modern pentathlon. In this sport, athletes compete in five events—fencing, shooting, swimming, running, and horse jumping—to achieve the overall best combined score. The winner need not be the best at any one specific event, but must have proficiency in all five. people like me. That is, there’s just me. I’m probably the best at this combination of events. I should medal in the modern pentathlon. Let’s take my own skill set and see how I would do. I am certainly in the 99th percentile when it comes to physics. (Remember, I am comparing myself to the general population, not just physicists. I would never claim to be in the 99th percentile of people with physics PhD’s.) I am probably in the 99th percentile when it comes to chess (considering that I am in the 85th percentile for tournament players based on an 1800 rating). But am I good, really good, at anything else? Remember, I am not claiming any particularly high proficiency in any of these things. I just claim a 99th percentile rank in the general population. And individually, any one of these skills would only put me in the company of some 70 million others. But now: make a hybrid event, where competitors have to take a battery of tests on physics, geometry, and classical music, then perform on the recorder, and then play chess… I believe I may do well in such an event. I might even be world champion. Of course, nothing is that simple. I have ignored the fact that some of these skills may be correlated. Anyone who can play the recorder will probably also know about classical music. And many physicists will also be good at geometry. This means that my competition will be stiffer than I suppose, since if the events aren’t mutually exclusive then I’ve calculated the probabilities incorrectly. But I can improve my chances by making the five events as disparate as possible. I might change “Geometry” to “Movie Trivia”, for example. My chances of becoming world champion would thereby be increased. If you think that “99th percentile” is too high a bar, we could lower it to 90th percentile. Most people are in the top 10% at several things. Redoing our calculation, we get N = 9.8 in this case. So if you can find ten things you’re fairly good at and combine them, you too can be a world champion. Of course, you also have to convince the Olympic governing body that that particular concatenation of events is worthy of a medal. But hey, that’s your problem. I have some geometry to do. Last week I had a post go viral. My hits went into the stratosphere, and traffic to my blog went up by a factor of almost 1,000. I know this is my 15 minutes, and they’re fading fast. So, while I still have some elevated traffic, I thought I’d re-blog a few older posts, to see what happens. Don’t Supersize Me: A modest proposal. This post first appeared on Nov. 9, 2012. What if there were a way to increase donations to worthy causes, while at the same time help fight this country’s obesity problem? I think there is a way, and it would be simple to test. 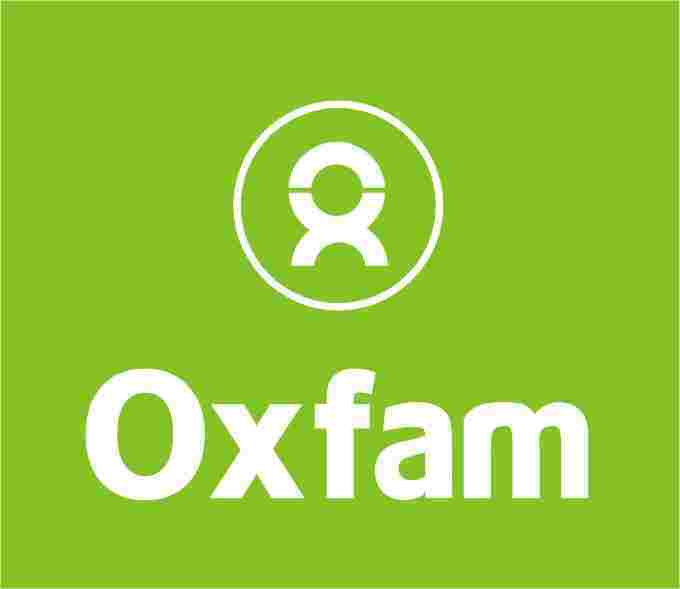 Suppose fast food restaurants that offer “meal deals” (burger + drink + one side, say) offered a $1 donation to Oxfam (or any other charity) as one of the side dish options? There are two obvious benefits. One, I believe that people donate to charities more if they can do so conveniently. I myself had never given money personally to a hungry family, but when a local grocery store asks me if I want to buy a box of food “for the children” I do so almost automatically. Convenience allows us to then feel good about ourselves. Secondly, people who choose this “side dish” are clearly missing out on calories that most don’t need anyway. How often do people get french fries, even when they don’t want them, just because they “came with the meal”? And subsequently, how many people eat the fries, because they paid for them–-even if they are no longer hungry? I’ve done this myself, although it seems irrational in hindsight. What if instead I order a $5 meal deal and the cashier asks, “What side?” and my response is, “give it to the hungry”, and the restaurant then has some automatic money transfer mechanism in place to make the donation in an instant? I don’t know which would do society more good: the money raised, or the calories not consumed. Why isn’t this a win/win? Or a win/win/win, since the restaurant doesn’t lose anything, and only gains the positive PR? It would even show evidence that the restaurant has heard the message of “Supersize Me” and taken it to heart. I think this idea is a good one, and I hope someone reads this post and shares the idea. All it would take would be one restaurant to start doing this, and before long all of them would be doing it. I can’t see a single downside at all. Admittedly, this may have been tried before. If so: I wonder why it hasn’t caught on? What are the economics of such institutionalized charity? I think there are other interesting questions at play here…does charity in fact increase when it is convenient to give? (I’d love to see the research data on this.) Would people forgo empty calories in such a scenario? What would be the economic benefit of millions of calories not being consumed? Might there even be an adverse effect for, say, the potato industry, if less fries are scarfed down? Let me know what you think. And please share this if you think that someone, somewhere, will see it and have the possibility of implementing it. Move over, McDonalds! There’s a new worst slogan in the world. Budweiser (a “beer” company) has a new ad campaign about sports superstitions. In a nutshell: sports superstitions (like sitting in your “lucky” chair) are funny, charming, and gosh darn it, might even be real! Budweiser’s tagline: “It’s only weird if it doesn’t work”. I disagree. It’s weird, period. What’s more, it’s ignorant, embarrassing, and frankly makes me a little pessimistic about humanity. Do you really think that wearing that unwashed jersey will help your team win? If yes, then please, please unfriend me on Facebook. I don’t want to have anything to do with you. This is only weird if it doesn’t work! Superstitions have always been a force for evil in the world. Yes, evil. Superstitions caused Aztecs to pull the beating hearts out of innocent people. Superstitions caused intelligent women to be burned at the stake as witches. Superstitions caused Okonkwo to kill his son Ikemefuna to appease the village elders. Superstitions put Galileo under house arrest, and drove Alan Turing to commit suicide, and prevent a sizeable number of otherwise educated adults from believing in the plain fact of man-made global warming. Superstitions even keep a huge number of South Koreans from having fans in their bedrooms. I’m not making this up. For some strange reason, many South Koreans think that a simple oscillating fan can kill you in your sleep. This, despite the fact that fan death has never happened in human history. And despite the fact that the rest of the entire world uses fans in their bedrooms to no ill effect. But wait! you might say, in Korean I presume. People have been found dead with fans running nearby! The fans must have killed them! Case closed! I’ll leave it to the reader to punch holes in that kind of “logic”. Your team wins while you’re wearing that lucky shirt? The shirt must have done it! Of course, you should be ashamed of yourself. You’re not any smarter than a pigeon. Carl Sagan wrote a book called “The Demon Haunted World: Science as a Candle in the Dark”. The idea is that science, and only science, illuminates; there is no other way to learn anything about the world. 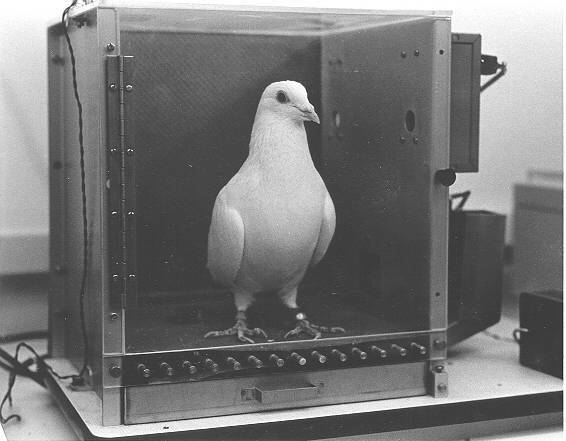 The next time you’re around a “person” who exhibits superstitious nonsense around you, cough into your hand and say “Pigeon!” Don’t worry; they won’t know what you’re talking about. Like Giordano Bruno’s torturers, or the chicken-eater Wade Boggs, or the people who stoned Tessie Hutchinson, they have no idea what science is, or logic, or common sense. They won’t have heard of B. F. Skinner or Carl Sagan or Alan Turing or Giordano Bruno. They will, however, be familiar with Budweiser “beer”. And they’ll be enjoying it, pathetically, in the dark. 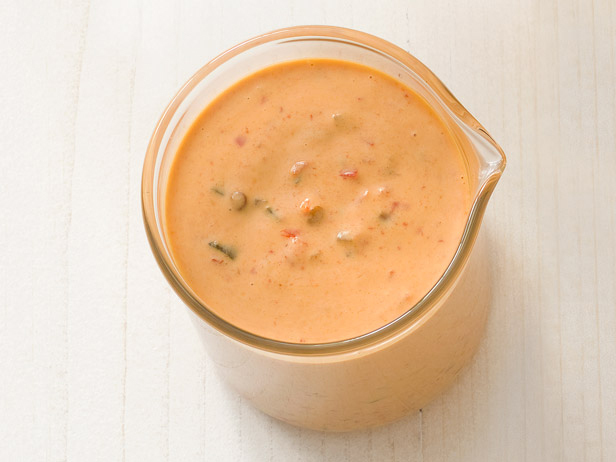 What ever happened to thousand island dressing? In 1992, ranch dressing overtook Italian to become the most popular salad dressing in the USA. If you’re interested in why that happened, click here. I don’t care for ranch dressing. I don’t really like milk on my lettuce. I have no pat answers; I offer no sweeping theories; I haven’t got a clue. I can only point to the slings and arrows of outrageous fortune. The mind searches for a pattern, for answers, when in reality there’s just arbitrariness, fashion, randomness. Balsamic is in, thousand island is out. End of story. Move on to something more interesting. And yet I do have a theory, nebulous, half-formed, rising to the surface. My theory is this: most people don’t feel strongly for any particular salad dressing. But people are strongly against. I have a brother who is disgusted by ketchup. I bet he wouldn’t go near thousand island, because (according to popular folklore) thousand island is just ketchup + mayonnaise. True or not, it’s the reputation that counts; a reputation built in part on the “secret sauce” of the Big Mac and the Reuben and god knows what else. How many people have the following associations in their mind: thousand island…Big Mac…disgusting fast food? I wonder if the backlash against fast food (Supersize me!) is mirrored by the downfall of thousand island. A lot of people today find thousand island, well, gross. What about French? Or about my personal favorite, Russian…a dressing so rare, now, that you can barely even find it in the grocery store? I’m going to guess that these dressings suffer because of their names. Russians have been gauche since the cold war 1950’s; the French since…well, since the last incident in which the French incurred the wrath of America. (It’s sad, really, that I remember a movement to rename French fries to “freedom fries”, but have long since forgotten the international incident that sparked such outrage.) 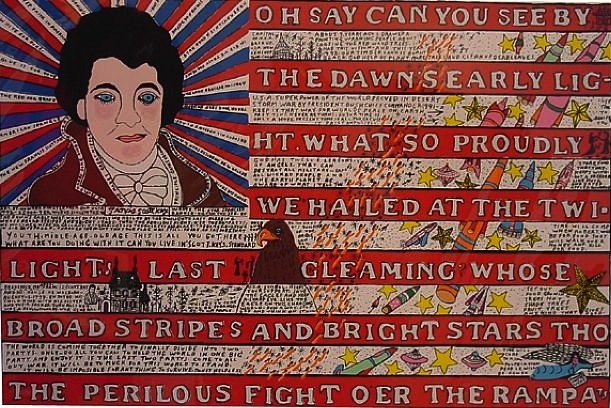 Anyway, if you eat Russian dressing then you’re a commie, and if you eat French dressing then you wear a beret, enjoy Jerry Lewis movies, and hate America. I love both French and Russian dressings. I actually like this sandwich. I’m not sure what I thought of the slogan back in 2003, when it was first unveiled. I’m sure I ignored it at the time; it seems innocuous enough, if a little too hip. But as the years go by—and it has been over 9 years now, mind you—the slogan grates on my nerves more and more. Maybe it’s the uncapitalized “i’m”, which is so reminiscent these days of lazy Facebook posts and lazy text messages (we can’t be bothered to capitalize!) Maybe it’s the apostrophe after the “n”, as if McDonald’s customers are too busy eating McBeef sandwiches to pronounce a velar nasal. Maybe it’s the totally slangy, scornful-of-correct grammar attitude that the slogan implies. Maybe it’s all of the above. I’m sick of it. BEAN COUNTER #1: We need a new slogan for McDonald’s. BEAN COUNTER #2: Any ideas? BEAN COUNTER #1: How about “You will love our food”? BEAN COUNTER #2: Too formal. Use a contraction. They are hipper. BEAN COUNTER #1: OK, “You’ll love our food”? BEAN COUNTER #2: No, it sounds like someone is trying to convince you. Someone is telling you that you’ll like it. But as they always tell aspiring authors, show, don’t tell. BEAN COUNTER #2: Meaning that it’s more convincing to see someone enjoy something, rather than have them tell you that you’ll enjoy it. BEAN COUNTER #1: Well, we could say “I love our food,” something like that. BEAN COUNTER #2: Too stiff. BEAN COUNTER #2: Better. Still not hip enough. BEAN COUNTER #2: Good, good. BEAN COUNTER #1: You know, of course, that “I’m loving it” is really poor grammar. It’s only used in the most informal English contexts. BEAN COUNTER #2: But we can go further. Make “loving” a contraction. BEAN COUNTER #1: And you know, we can “dumb it down” further by not even capitalizing the “I”. BEAN COUNTER #2: Oh, nice. “i’m lovin it.” Great. BEAN COUNTER #1: I’ll write up a prospectus. How much should we charge McDonald’s? BEAN COUNTER #2: I’m thinking, $20,000,000? BEAN COUNTER #1: i’m lovin’ it. War is nothing like chess. I am a big chess fan. I can name every chess world champion since Morphy; I could probably name around 17 of the world’s current top 20; I can checkmate a lone king with two bishops and a king; I have a good working knowledge of just about every opening there is. The problem is, I’m just not that good. Oh, I can beat most casual players…the ones that begin a game by moving a rook pawn (to a4, say) and then move their rooks out vertically (to a3, say). In USCF rating terms, my rating is around 1800, which (to my own surprise) is about the 85th percentile for tournament players. So objectively, I am not bad at all. But I am good enough to be aware of just how much better other players are. I have a friend Shawn who is a master (here he is drawing a grandmaster). I am in awe of his tactical strength, and his fine sense of dynamics. I have beaten him dozens of times in speed chess, but for every game I win, he wins 10. It has taken me a while to get to the point of this blog post, which is this: I like chess because of its icy logic and its mathematical purity. For this reason, chess is a horrible metaphor for war, or for life. Chess is used in books and movies for two basic purposes. The first is to establish the intelligence of a character. For example, Lisbeth Salander (in The Girl with the Dragon Tattoo) is an expert at chess. This was a bad choice on the author’s part: Lisbeth is also an expert hacker and financial genius, has an eidetic memory, and is an incredible detective—why stretch credulity even further? A lot of great chess players are certainly smart, but the correlation doesn’t go the other way: many smart people are terrible at chess. Einstein was probably weaker than me. Oppenheimer was even worse. Comedian Howard Stern, a player of about my strength, would crush either one. The other use for chess in books and movies is as metaphor. In The Seventh Seal, Antonius Block plays a game of chess against Death. In Harry Potter and the Philosopher’s Stone (the original title; not the dumbed-down American version) someone plays chess with someone else (like I remember?) In both cases the chess itself is ludicrous. For example, at one point Death captures Block’s queen; Block says that he “didn’t see that”. (Really? Did Block just learn the rules the day before?) But I don’t want to evaluate the chess in such works per se; rather, I want to see how well chess works as a metaphor. First, chess as war. I can’t think of any examples off the top of my head, but there seems to be an assumption that skill at chess somehow equates to skill at war. But this is ludicrous: in chess, every move is transparent; you can always see what your opponent is doing, and everyone starts on a level playing field. In terms of game theory, chess is a perfect information game. I’m no Colonel Dax, but I don’t think war works that way. There is always a fog of war, and an element of chance, so war is about contingencies, and adaptability, and bluff, and extrapolation. Second, chess as life. I have to admit, I don’t really get this metaphor at all. Is life therefore a game? A perfect information game? If chess represents life, does that mean that I struggle throughout my life against an opponent (Satan? Howard Stern?) who is trying to thwart me at every turn? And if I play well, but my opponent does too, then am I destined for a draw? What is a draw, in life? Is it retiring at 65 to play shuffleboard in Orlando? As much as I like chess, I think backgammon is a much better metaphor for war or for life. In backgammon, there is an element of chance, and so the “the best laid schemes o’ mice an’ men” will often go awry. That is why a good backgammon player will weigh contingencies. What move leaves me in the best position, based on what dice rolls are possible, and what might happen? In backgammon, you’re not just playing against an opponent, you’re playing against the fates themselves (in the form of the dice) and this makes the game feel more “real” to me. People who don’t play backgammon often think that luck is a major part of the game. This is true, on the level of a single game, but backgammon is played in matches of multiple games, and luck is much less important at that level. This is because of the doubling cube. With the doubling cube, a master will almost always defeat a weaker player, in the same way that a Napoleon will almost always win a war against a General Mack, even if an individual battle is lost here or there. And so, life. The dice aren’t always going to go your way. You should plan with that in mind. Look at your current position, figure out the possible contingencies—the possible ways God might play dice with your universe—and set up your pieces accordingly. Even if you get gammoned, tomorrow’s another day.